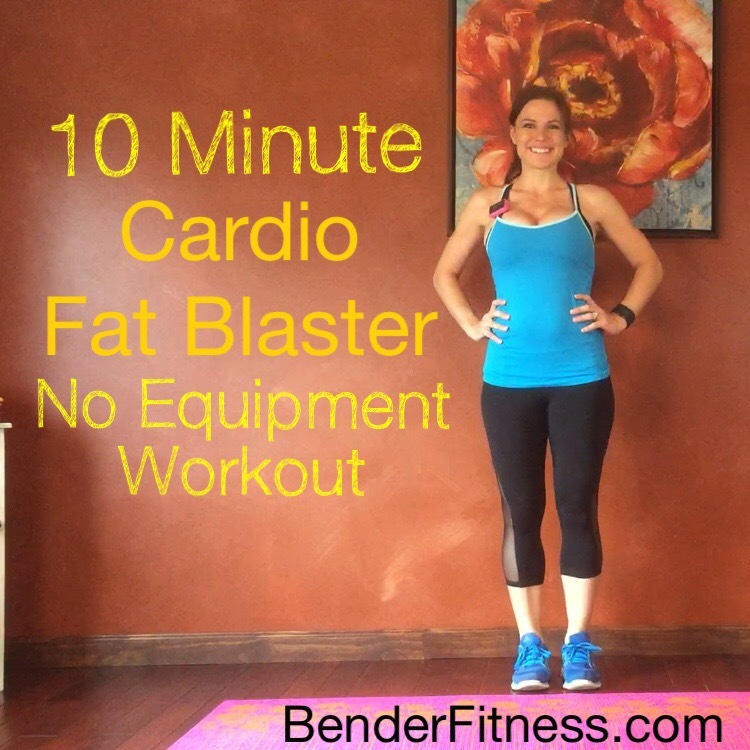 Today’s workout is a quick, but challenging Cardio HIIT. This is a fantastic fat burning workout. You can do this on it’s own, repeat it to increase the intensity, or use it as an Add On to any of my other workouts. This is a great cardio option when you want to maximize your workout. I mentioned this in a Facebook Live video recently: Intensity DOES matter. When it comes to fat burning, while maintaining lean muscle mass, multiple studies have shown HIIT workouts to be incredibly effective. That means not only are you burning fat, but you are boosting your metabolism by maintaining your lean muscle. When you lose weight, if you lose your muscle mass you can actually lower your metabolism. Muscles require much more energy to maintain, which means that people with higher amounts of muscle can eat m ore calories just to sustain their weight. This is part of the reason that men often have an easier time losing weight than females: they have more muscle mass and are therefore burning more calories during everything they do. Today, I did one round of this workout and paired it with the new workout Jesse and I filmed last night. That workout is still being edited, but it will be up either this evening or early tomorrow. I am excited to share the new workout with you! I really enjoyed being able to have both of us on camera working out together. Plus, it’s a fun way to celebrate BenderFitness’ 5 Year Anniversary! Equipment: –Buy a Gymboss now. Set Your Interval Timer for 10 Rounds of 10/50. This was a great intensity!! Awesome workout – thanks!!! Wiped me out what a burn! Love it ! You’re awesome! That was great. I did one round after doing your 20 min. HIIT sweat and sculp. My legs are shaking. I love it, thank you. Two rounds of this is my go to. It never disappoints! I’m going to write down how many reps I get in as per your suggestions. Thank you for this one. this is a great workout one of my faves!!! I’m done after 1 round…ouch and thanks I think!